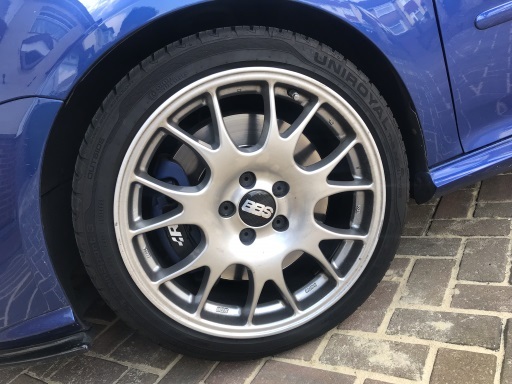 So my car came with some BBS VZ033 wheels, very similar to the Edition 30 wheels but are slightly wider and don’t have the lettering on the face. 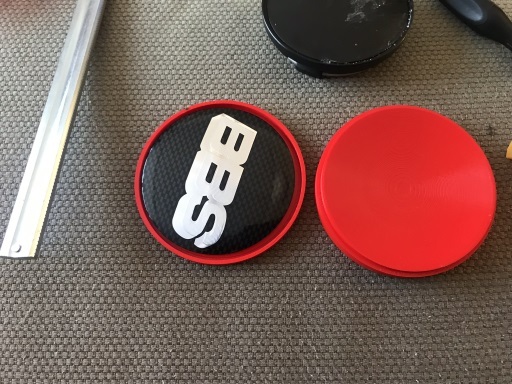 However they didn’t come with the original centre caps. Thankfully I found a set on eBay brand new for about £60 delivered. 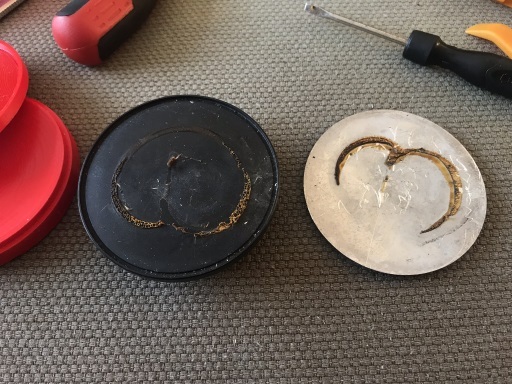 Unfortunately after about 3 months the metal caps started to lift. I sent them back to the supplier who kindly replaced them for a new set. No such luck. After 3 months, the same thing happened again. I didn’t think that the supplier would replace them again, so I looked for a solution. 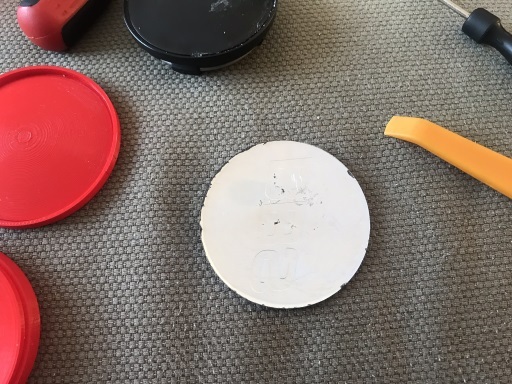 It seems that the sticky foam pad used to hold the metal badge on isn’t good enough to hold the badge in place all round the edge, the arc of the badge is less than the arc of the plastic cap, and so the edge lifts. I spoke to an engineer friend of mine, who suggested that the cap needed to be formed to the right arc to allow them to stick properly. 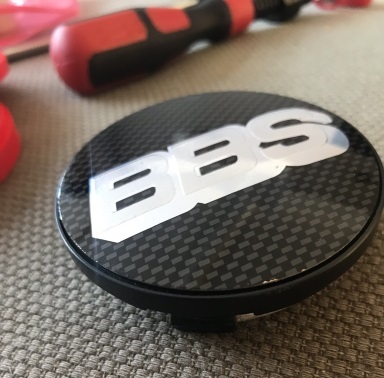 He took one of my caps and 3D printed a press for the metal badge! Edge of the cap has lifted. So the first step would be to remove the cap. On my originals, this was easy enough as the sticky pad wasn’t really attached very well. 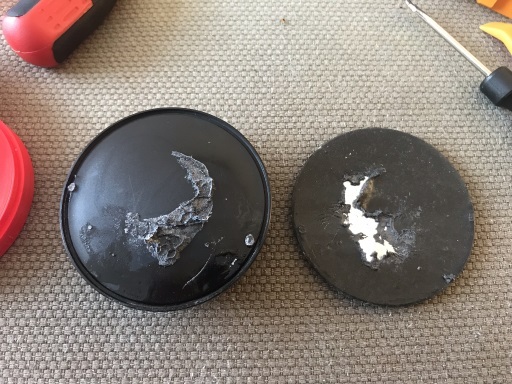 I had a second set where someone tried to glue them back on, also shown. 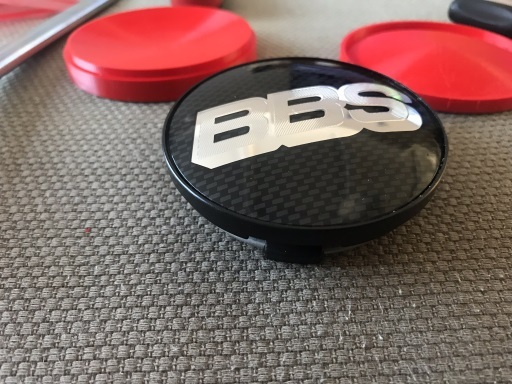 I cleaned up the cap to remove the sticky pad to get it ready for pressing. 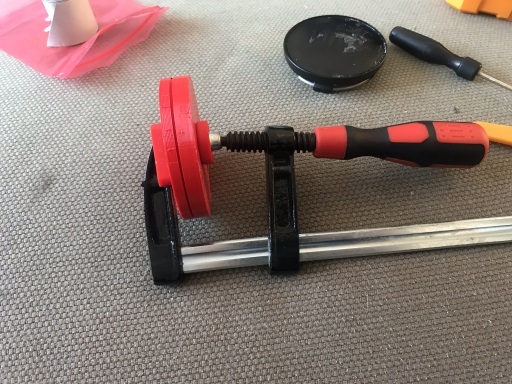 Inserted the cap into the 3D printed press and clamped it tight. I added some new super sticky tape to the cap, and used the clamp to press the cap back onto the centre. 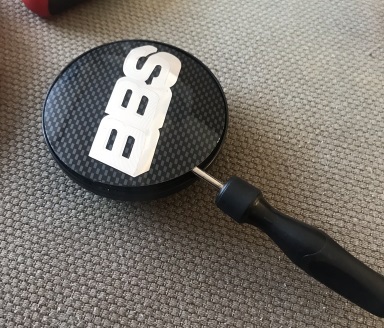 And now the cap fits beautifully. Hopefully this will survive for many years to come.